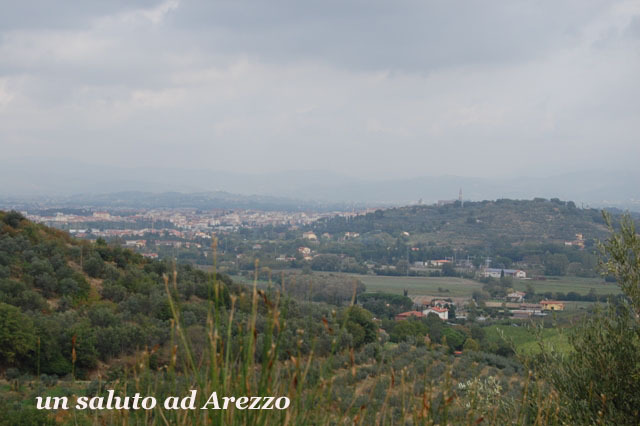 The city of AREZZO lies at the centre of three valleys: Due north is the Casentino, the upper Arno Valley; to the north west there is the Valdarno Superiore, the second Arno Valley east of Florence. Due south is the Val di Chiana a very fertile plain the result of a massive reclamation project of the 18th century where once were swamps and morasses. The waters are now conveyed into a canal: “Canale Maestro della Chiana”. The Province of Arezzo also extends eastward into the upper Tiber Valley: Valtiberina. Arezzo was a major Etruscan city grown in prehistory, as shown by numerous archeological finds and also by a skull of an early Homo sapiens (Uomo dell’Olmo) dating back to the Paleolithic period near a hamlet called Olmo during the excavation of a railway tunnel for the Rome to Florence line in 1863. Arezzo was one of the most prominent cities of the Etruscans. It was in fact one of the 12 city states of the Etruscans. Under Roman rule, especially during the Republican period, Arezzo became instrumental for Roman expansion to the north, and was a defensive bulwark for the newly born Empire, thanks to its strategic position on the route to Rome from the north. At the beginning of the Imperial age it was an industrial and creative city and grew rich and powerful at the time of the Punic Wars, when it provided swords for the Roman army when Scipio fought against Chartage. There were no iron ores near Arezzo, but there were torrents especially in the Apennines and Casentino that moved the hammers and bellows for their farriers who got the iron ore by waterways from Elba, via Rome and up the Tiber, since the Tiber and the Arno were then joined by a single source and were navigable all the way from Rome and Pisa to Arezzo. Many public buildings like a theatre, the baths, a very large arena, which is still there and occasionally used for spectacles; the adjoining building to the Arena is now the Etruscan Museum. Cultural life in Roman Arezzo was very intense, the first man that comes to mind is Maecenas (Gaius Clinius Maecenates) a man of letters and of good taste, his name is attributed to promoters of the arts today. Arezzo was a centre for metalworks and pottery, especially by virtue of the waters of the numerous torrents of the Apennines and especially of the Casentino. Pottery works were very important, the red tableware known as “Aretine ware”, was known as far as Great Britain and India! And had imitations in Gaul. 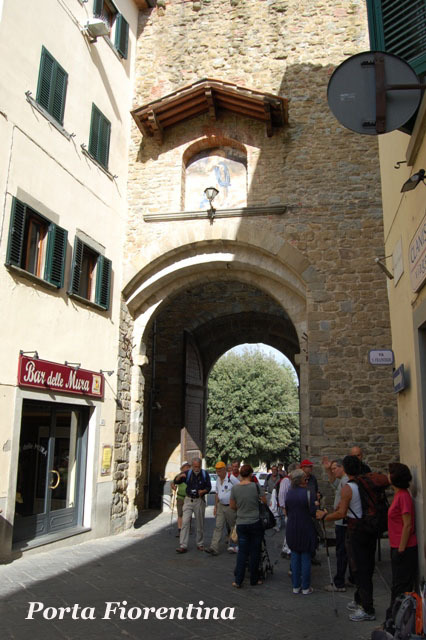 Arezzo was in late Roman times a contended area between the Goths and the Byzantines. When the Lombards arrived in Tuscany Arezzo became a borderland. The border remained sealed for 200 years until the Franks defeated the Lombards and communications were again possible, Meanwhile the language of the two sides had evolved in different ways, the result is a striking difference between the vernaculars of Romagna and of Tuscany. Charlemagne conferred power to the Bishops of Arezzo making them rulers of the cities by making them Earls. 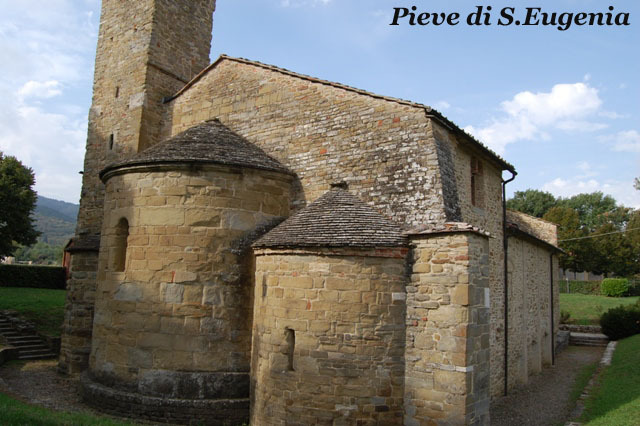 Under the Ottonians and the Hohenstaufen Bishops strengthened their power and also a great number of monasteries were founded in the district of Arezzo which grew prosperous and acculturated. Resuming our walk we must bear in mind that we are leaving the Arno valley and entering the Chiana Valley, once a swamp, reclaimed by the Austrian Grand Dukes of the House of Lorraine/Habsburg who made Tuscany one of the most highly civilized parts of Italy and Europe, undermining the power of the Church and upholding human rights. Leaving the city we keep walking close to the foothills on unpaved roads, with no traffic. We recommend to follow scrupulously the maps available. The stage begins at Santa Maria delle Grazie, a 16th C. sanctuary well worth a visit for its fine Renaissance architecture. 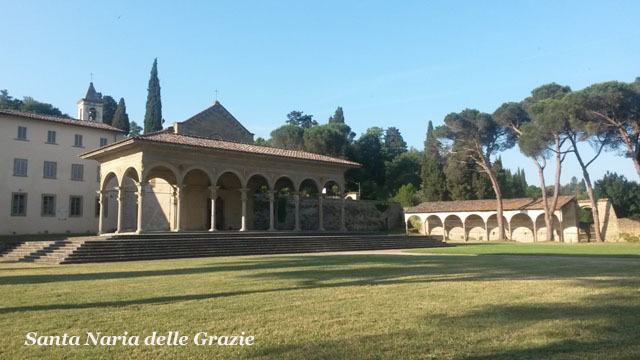 Leaving from the gate of the sanctuary precinct: the cloister of the convent, we turn left and take Via Andrea della Robbia, which we follow up to the underpass of the main Arezzo bypass, and at the next crossroad or roundabout, we turn right on Via Giulio Salvadori. 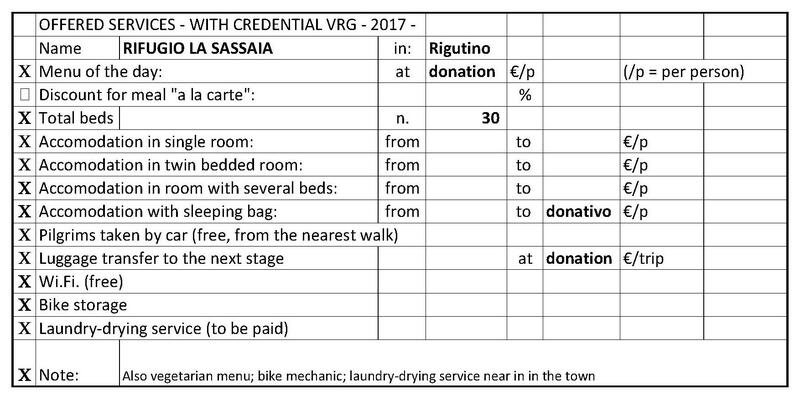 We go on for 600 m to take the road at the fourth crossroad on ther left, Via della Magnanina, which we shall follow for about 2 Km passing through the suburbs of Santa Firmina and San Marco Villalba. Turning left we go uphill to Sargiano, a protected area. 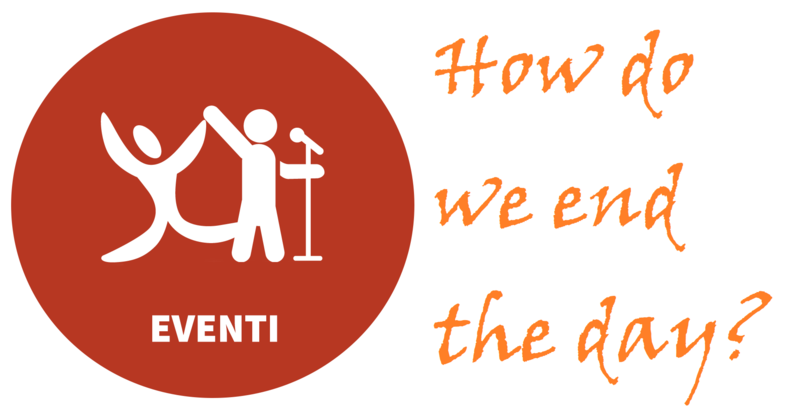 We have started an uphill walk through woodland, after leaving fields planted with olive trees we will, go on for about 5 Km, up to Santa Maria di Pigli, still walking on unpaved forestry roads through woodland. 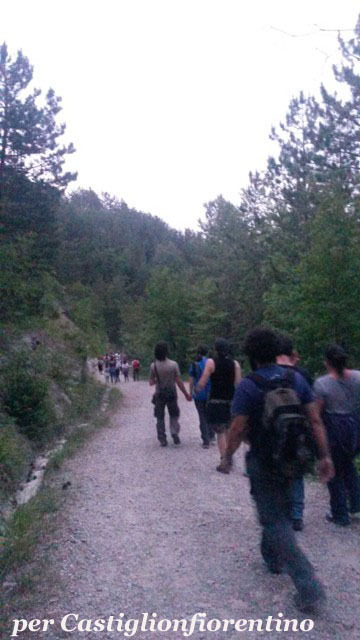 We descend to the Castle of Policiano, walk around it and carry on walking among the olives in continuous ups and downs. Below us, State highway 71 also known as Via Umbro-Casentinese-Romagnola has become a reference point for our general direction up to Orvieto and beyond. 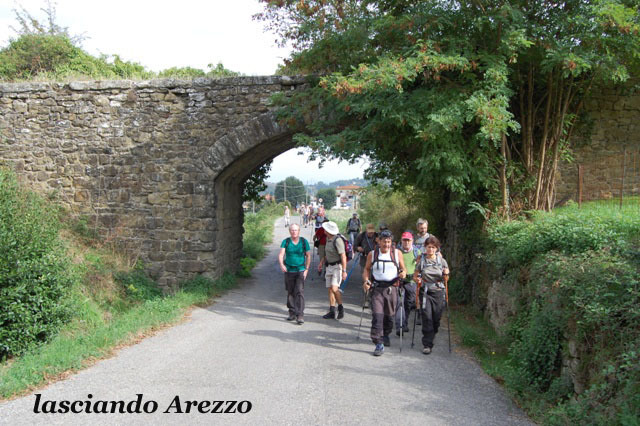 We must pay attention to the road signs, very numerous, but clear, since we are coming across numerous footpaths, being in a densely inhabited area with numerous country mansions one more beautiful than the next, often with welcoming agriturismo accommodation. 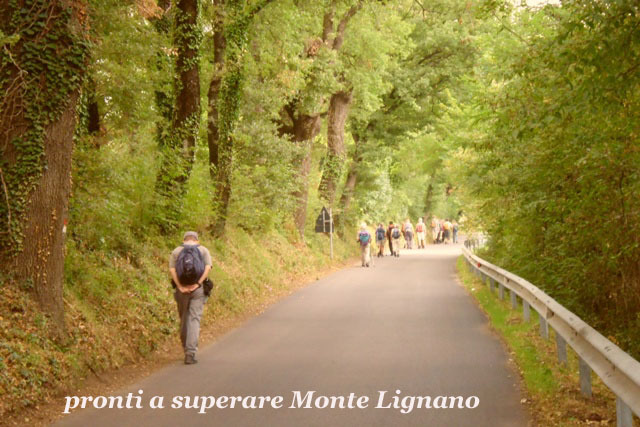 The path is still excellent for walking, it follows an ancient road, that it is said to have been used by Hannibal’s army before the great battle of Lake Trasimeno. 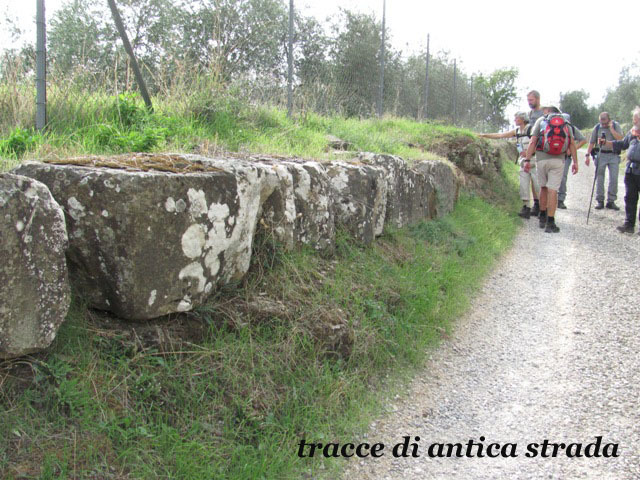 There are indeed signs of Etruscan and Roman presence in the dry stone walls. With the splendid landscape that pleases our eyes, with its colours and contrasts, we come into view of the PIeve di Sassaia, near Rigutino, where an extraordinary person: Giovanni, a latter day Knight Hospitalier, will make us forget how tired we are by providing excellent repast and a good bed for all of us for the night. Rigutino is a street village in the municipality of Arezzo by the foothill of Monte Lignano, inhabited since prehistory. During the Etruscan period it was dotted with farms. 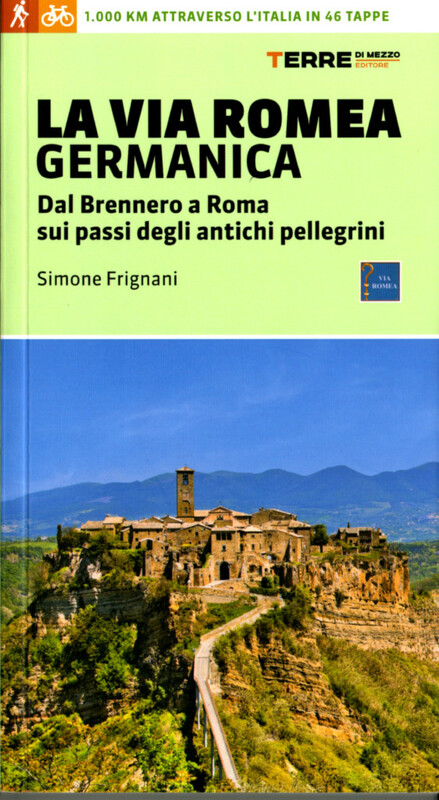 The Romans has various villas, among them the villa of the Briccia family which left the place-name Bricciano lasting until the 11th century. A statue representing Sylvanus, god of the woods was found here in the 1930s. In the middle Ages the castle of Bricciano was erected, but since this locality was called Ruvetium on account of the area being full of thorns and thistles (it.rovi), the name Rigutino came as the new placename as it stands today. 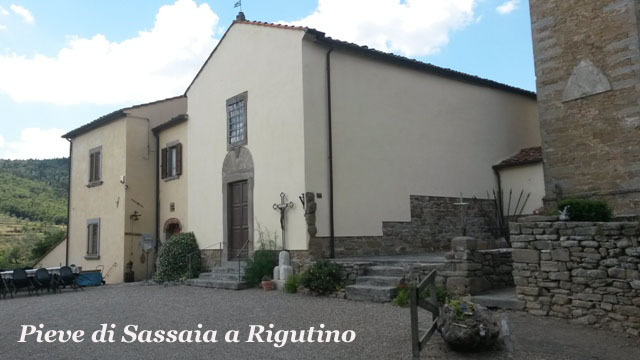 The ancient parish church of San Quirico at nearby Sassaia, built in the 11th century, refurbished in the 16th century is where we will stay overnight. 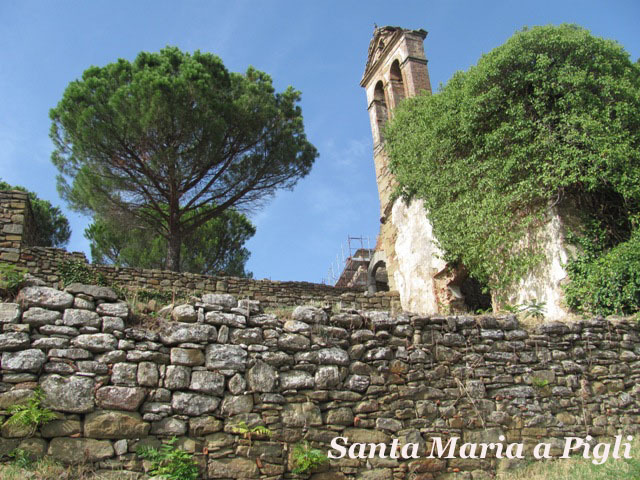 The church boasts a magnificent view on the Val di Chiana, and it stands on the route of both the Cammino di San Francesco and the Via Romea Germanica. Here in the former vicarage there is room for 30 in the hostel, with 3 bedrooms, 4 bathrooms, 3 showers. After a pleasant stay in Sassaia Rigutino having being looked after by Giovanni Gallastroni, a latter day Templar, we resume our walk in the direction of the town of Castiglion Fiorentino, another splendid Tuscan medieval hill town which deserves all our attention and interest. From the church we go downhill for about 700 m and turn left, entering an olive grove, a further 100 m and we turn right, then left, we ford a small stream and take Via Selvetella for about 600 m, turn left, then right, and unfortunately we must enter our State Highway SS71, which up to now we have avoided: paying great attention to the traffic, turning left we walk the SS71 for less than 500 m and turn left on the road to Querciolo, away from the traffic into open countryside. 400 m, on, we take the third road on the right to walk along field lanes parallel to the SS71, passing by the houses of Ottavo (8th Roman mile from Arezzo), the houses of Vitiano, Villa Apparita. We descend toward the town, with the Provincial highway to Palazzo del Pero, we arrive in Piazza G. Matteotti and walk towards the town centre, walking up along Corso Italia.